How many people play Fortnite? Is it really as many as people say? How many people play Fortnite? 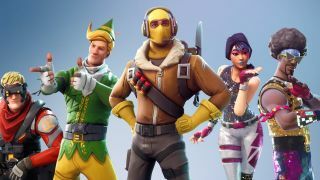 It's a question that nobody but Epic knows the exact answer to, but in a recent interview with Engadget, Epic Games' CEO Tim Sweeney revealed some updated figures. It's no secret that Fortnite is one of the most popular games in the world and has been for some time, but is it the most popular? We've got all the latest details on the Fortnite player count, to provide some insight to that question; how many people play Fortnite? In the aforementioned interview with Engadget, Tim Sweeney has revealed that Fortnite recently hit 250 million registered players in March 2019. Compare that to the tail end of 2018 when the number was reportedly 200 million, and it's clear that Fortnite's growth is showing no signs of slowing down. The record number of concurrent players has also increased, to an astounding 10.8 million. That's 10.8 million people around the world, all playing Fortnite simultaneously. Not in the same match, of course... could you imagine? When you compare that to other battle royale games, Apex Legends hit 50 million registered users at the start of March 2019. Since the game only released in February, that is phenomenally quick growth, but it has a long way to go before it reaches Epic's generation-defining game. PUBG on the other hand currently peaks at around 900k concurrents on Steam - that doesn't take the Xbox One and PS4 versions of the game into account, but it looks like it's slipped down into third place. When will Fortnite die? Will Fortnite ever die? Probably, but it's not happening any time soon. The game may be losing players that have played since the start, but it's drawing in new players at an even greater rate.